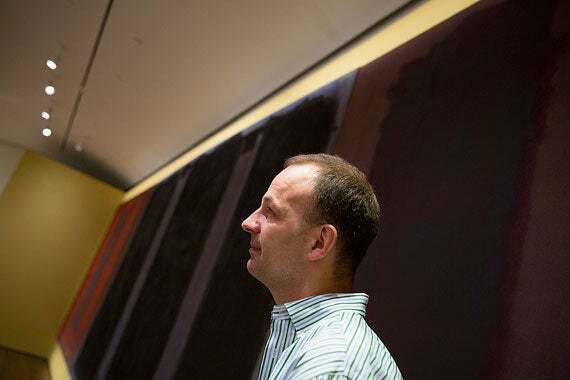 Jens Stenger, formerly of Harvard’s Straus Center for Conservation and Technical Studies and now a conservation scientist at Yale University's Institute for the Preservation of Cultural Heritage, stands in front of a triptych of Rothko’s murals in the Harvard Art Museums' special exhibition gallery. The murals will be on display when the museum opens on Nov. 16. What would the famously exacting abstract artist Mark Rothko think about using a ghostlike technology to recapture the vibrancy of his faded Harvard murals, a virtual restoration that can disappear with the flip of a switch? Experts never like to speculate on the original intentions or interests of an artist, but someone intimately close to the late painter is a fan. 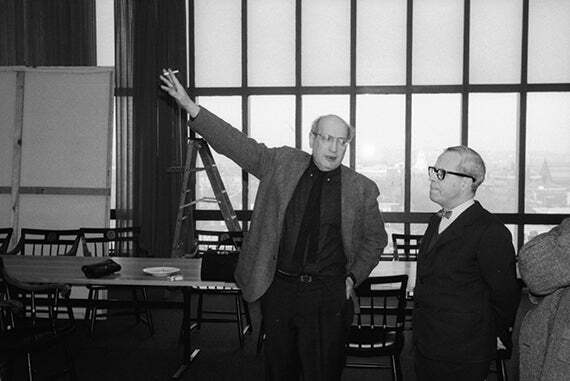 Christopher Rothko, the guardian of much of his father’s work, was initially unsure about the restoration technique, which was developed over several years by a Harvard team with help from experts at the Massachusetts Institute of Technology. But when he saw a test run of the technology at the Arthur M. Sackler Museum last year and observed light from a digital projector preserving his father’s vibrant brushstrokes while restoring the faded murals’ rich hues, he was “surprised and thrilled,” said Mary Schneider Enriquez, the Houghton Associate Curator of Modern and Contemporary Art. “It felt to him as real as it possibly could be, and as vivid,” said Enriquez, who helped work on the project. She noted that Christopher Rothko thought his father would have loved seeing the murals reunited as one collective work. The renovated and expanded Harvard Art Museums will open in November with the inaugural special exhibition “Mark Rothko’s Harvard Murals,” a series of six large panels created for the top floor of Harvard’s Holyoke Center (now the Smith Campus Center) in 1962 and revived after years in storage with minimal handiwork. Many applaud the new technique for its adherence to art conservation’s cardinal rule: it’s reversible. For conservators, any preservation or restoration process that permanently obscures the artist’s hand is anathema. The new method was a perfect fit for the murals, whose delicate surfaces and prominent brushwork made “inpainting” impossible. Light projection as a tool in art conservation was first described and demonstrated by Canadian conservator Raymond Lafontaine using slide projectors in the 1980s. More recently, digital projectors have been used to restore items such as a Henry VIII tapestry in England’s Hampton Court and a Native American vessel at Purdue University. But restoring a large-scale painting, pixel by pixel, was something new. 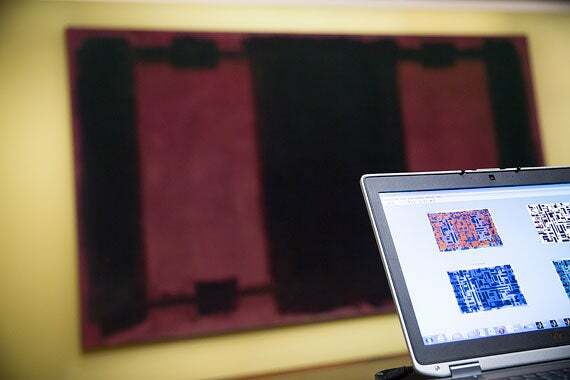 To begin, a team of conservators and scientists at the Straus Center spent months determining what kinds of materials Rothko (1903-1970) used to help them better understand the fading process. They built on work done in the 1980s by Harvard conservation scientist Paul Whitmore, who found the abstract artist relied on the light-sensitive pigment lithol red to give his murals their deep crimson. 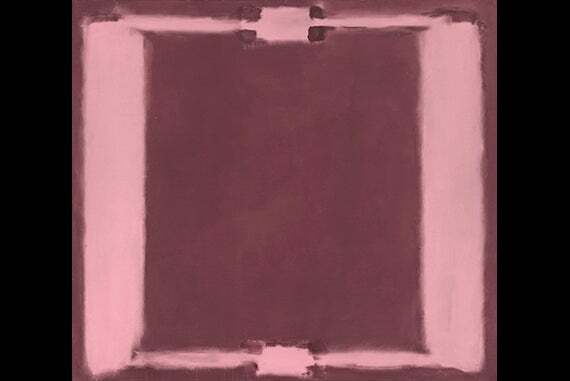 The “fugitive” nature of that pigment combined with the desire to preserve Rothko’s brushwork ruled out the use of conventional restoration techniques. The team turned to a digital solution. A computer software program sends information to the digital projector, which then casts light on the faded murals to restore their original color. A digital camera shoots pictures of the murals in the new gallery. The image is then compared to the restored photograph of the original. The information is fed into a computer that uses the new software to generate a “compensation image,” which is sent to a digital projector that then illuminates the murals as they would have appeared more than 50 years ago. 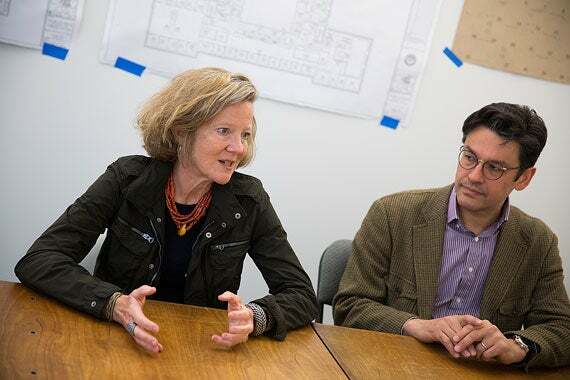 Jens Stenger, a former conservation scientist in Harvard’s Straus Center, helped develop the new technology that restores the murals’ original color with light from a digital projector. With help from Ramesh Raskar, a computational photography expert at MIT, and two MIT students, they developed a piece of software that could isolate the images’ colors one pixel at a time. To determine the murals’ original colors, the team had to rely on another delicate process. 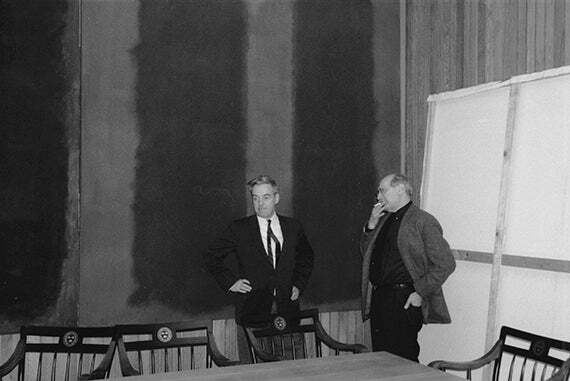 While they could consult the sixth panel by Rothko — which had not been displayed and had never faded — they also needed to reference a series of Ektachrome photographs of the works taken in 1964. Sadly, those pictures had faded as well. The conservators worked with an expert in Switzerland, Rudolf Gschwind at the University of Basel, who digitally restored the photographs. The resulting technology uses a digital camera to shoot pictures of the murals in the new gallery. That image is then compared to the restored photograph of the original. The information the comparison generates is fed to a computer that uses the new software to create a “compensation image” that is sent to a digital projector, which illuminates the murals to appear as they would have looked more than 50 years ago. On a recent afternoon, Stenger, now a conservation scientist at Yale University’s Institute for the Preservation of Cultural Heritage, demonstrated how a projector suspended from the gallery ceiling bathed large sections of the background of Panel Four in a pink beam to restore its crimson hue, while a black swath next to it remained unchanged. 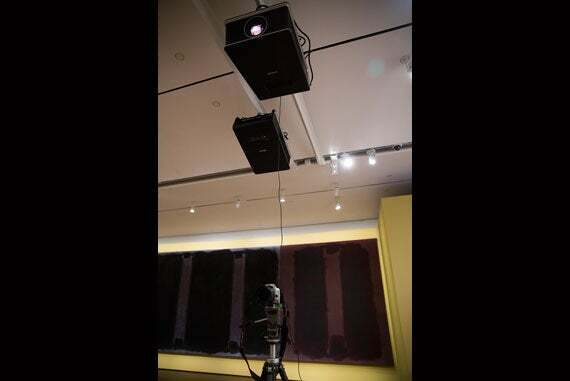 When the exhibition opens, five projectors will be used to shine light on each of the faded paintings. The projectors will be turned off periodically during the exhibition to allow visitors see the murals without restoration. 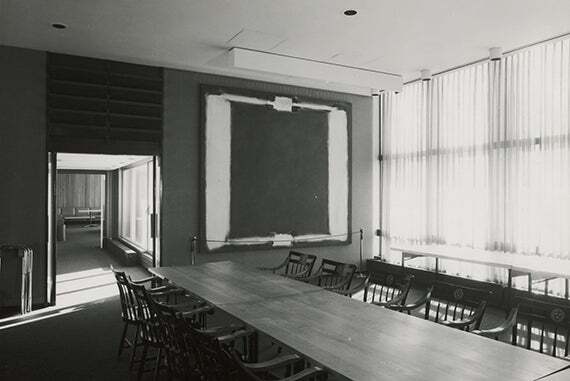 The five murals were painted for Harvard in 1962 as commission for a special function and dining room on the 10th floor of the Holyoke Center designed by Josep Lluís Sert, the dean of the Graduate School of Design. They represented the University’s new embrace of contemporary art and architecture. But the Holyoke room posed challenges right away. Rothko insisted on new color for its walls, one that would better mesh with his paintings, as well new lighting. He also requested fiberglass curtains to help block the sunlight that spilled into the room, but the shades were no match for Sert’s floor-to-ceiling windows. As the years passed, the paintings faded. (Panel Five, the mural most dramatically affected, today looks light blue compared with its original deep crimson.) They were also damaged by furniture, and stained with food and graffiti. The murals were removed in the late 1970s and put into storage. 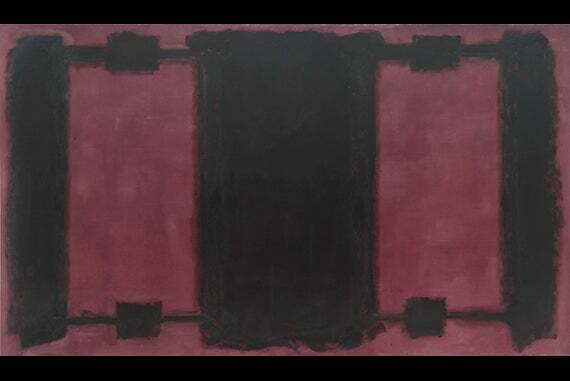 Also on display will be the sixth mural Rothko completed for the series but chose not to install, as well as related studies that offer a window into the creative process behind the Harvard project. For experts and art lovers alike, the new exhibition restores the vividness of Rothko’s murals, opens them up to the public, and revives them as a subject for scholarly discourse. 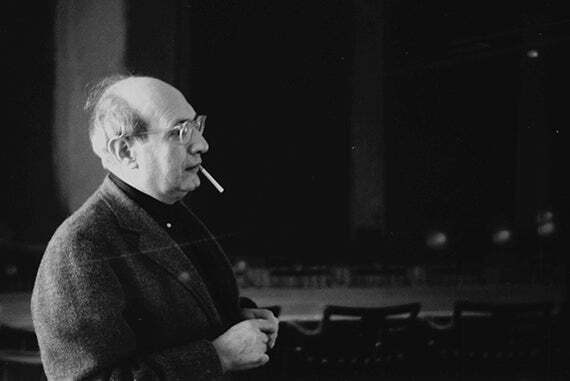 “Mark Rothko’s Harvard Murals” will be on display through July 26, 2015. Brothers Tom (left) and Jack Megan received word from Stephen Sondheim in 2013 that their musical had won the Richard Rodgers Award for emerging theatrical talent. Starting tomorrow, “The Kid Who Would Be Pope” will kick off a three-day run in New York's Ars Nova, an off-Broadway theater.